Did you know that bees need a bath? There is no need to crack out a miniature bottle of bubble bath. 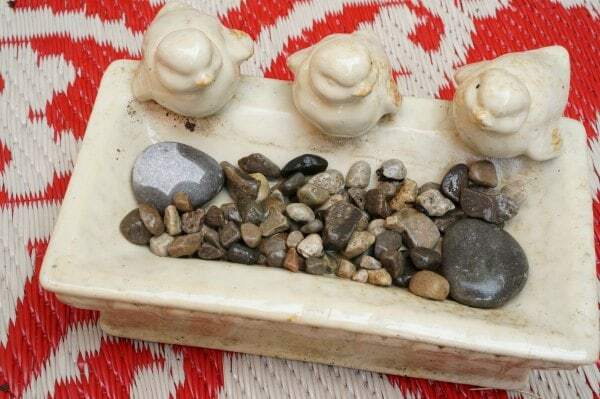 It is easy to make a bee bath for your garden. We have been busy figuring out everything we need to make an awesome bee garden. One of the items on our must have list is a bee bath. When we think about the many ways that we can help bees in our own green spaces, we often think of planting attractive flowers. However, bees have another need – water. Yes, like every living thing on Earth bees need water to survive. Beyond drinking water to keep hydrated, bees need water for their bee hives. Yep, bees take water back to the hive. The water keeps the humidity levels under control, cools the hive and helps in the production of honey. Clever little bees! We have been having a lot of fun exploring bees this summer. Creating a bee bath for our garden is a simple and fun activity to do with the kids. Anything we can do to help the pollinators survive and thrive makes a wonderful addition to any garden. So, what is a bee bath? A bee bath is a safe source of water for bees. The water needs to be shallow, so the bees won’t drown. 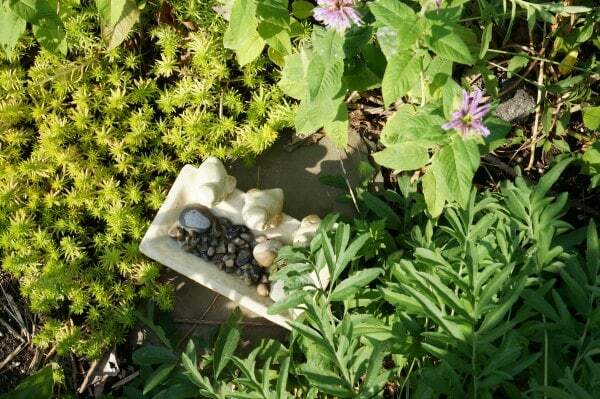 The bee bath needs to be in a sunny, sheltered spot – that bees will want to visit. 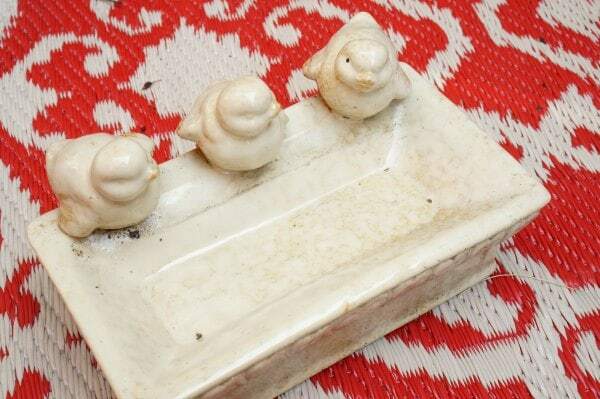 Begin with selecting a shallow dish for your bee bath. It is important that the dish is shallow as bees don’t need a lot of water. A vessel that is too deep the bees can drown in the water. 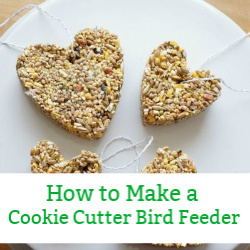 We used a shallow dish that was supposed to be a table top bird feeder. 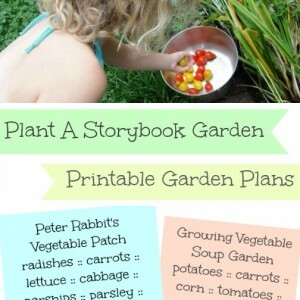 Other options that would work are a pot saucer, a baking dish and even an old plate. The next step is filling the dish with something that the bees can stand on and easily access the water. 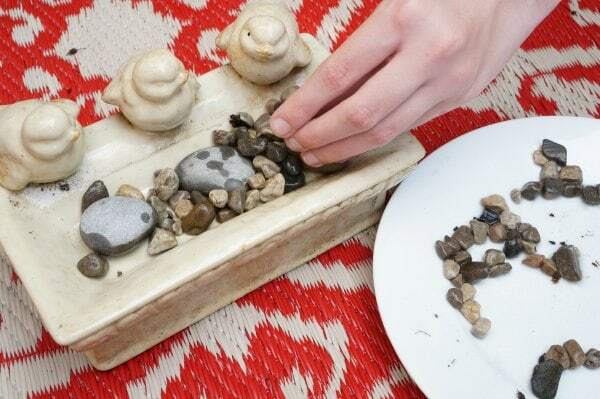 We chose to use small pebbles and a few larger rocks. 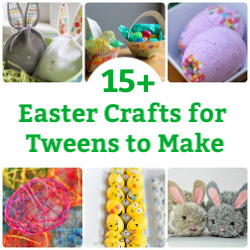 You could also use marbles or beads. 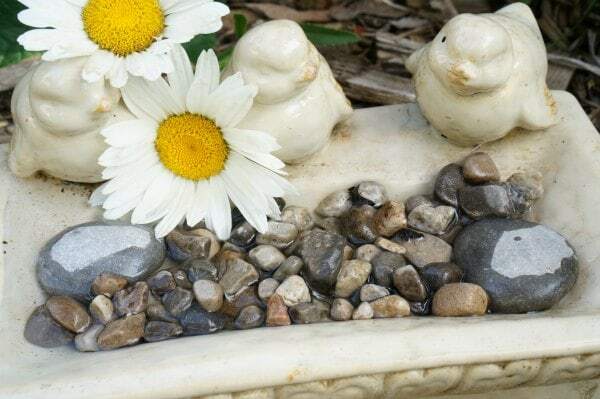 The pebbles give the bees something to stand on while they drink from the water. When it comes to deciding where to place the bee bath, think about where bees will be hanging out in your garden. If you have already filled your garden with plants that bees love then this won’t be a problem. 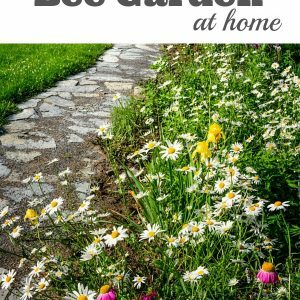 If you aren’t sure what plants bees love take a look at our post that is filled with tips for growing a bee garden. We have been rotating the location of our bee bath. Now that our bee balm and purple cone flowers are starting to bloom, we moved the bath to that area of the garden. Prior to that we had our bee bath placed on our back patio, near a group of flowering potted plants. 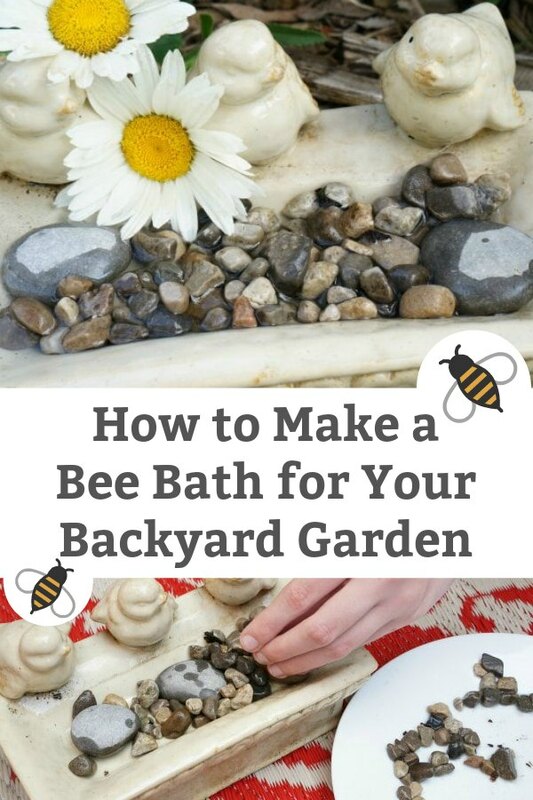 Yep, bee baths are perfect for patios too. The final step is perhaps the hardest step – remembering to fill the bee bath with water. The bath has such a small amount of water that it evaporates incredibly quickly. We fill ours twice a day. Don’t be afraid to overfill the bath, the excess water will evaporate in no time at all. Now, I haven’t actually witnessed any bees in our bee bath, but the water is available for them when they need it. This bath is also useful for butterflies. Butterflies need water too. 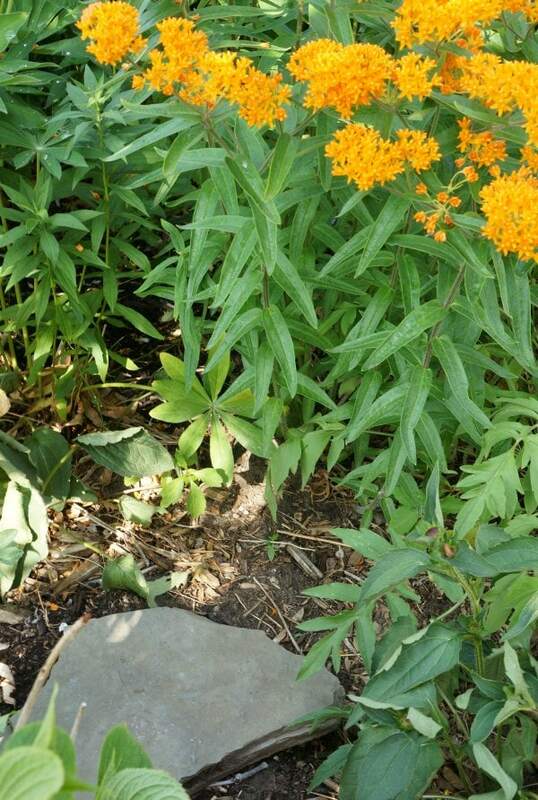 Another great addition to all gardens are large rocks where butterflies and bees can stretch our their wings. Butterflies like to rest on dry, sunny spots in gardens. We have a few stepping stones placed throughout our garden. 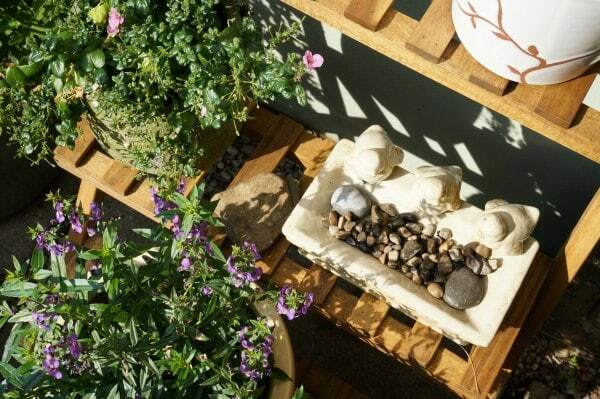 At first glance it would appear that they are simply stepping stones…but during the heat of the summer you will often find butterflies resting on the flat surfaces. After all that fluttering, they need a safe spot to rest. 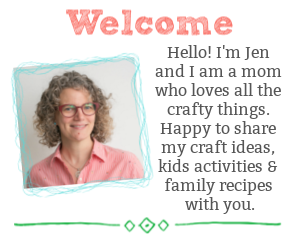 Looking for some other simple summer activities that the kids will love?